Remodeling a kitchen or bathroom is exciting but with so many voices offering design advice on TV, the internet and social media, it can be hard to know if you're making the right decisions. Here at the Design Loft, a division of the Tile Center, our experienced designers are ready to answer your questions, calm your fears and offer design advice on the latest trends. We take the time to come out to your house and really get to know you. Don’t be surprised if we ask you questions about your cleaning habits, grocery shopping routine or entertaining lifestyle. 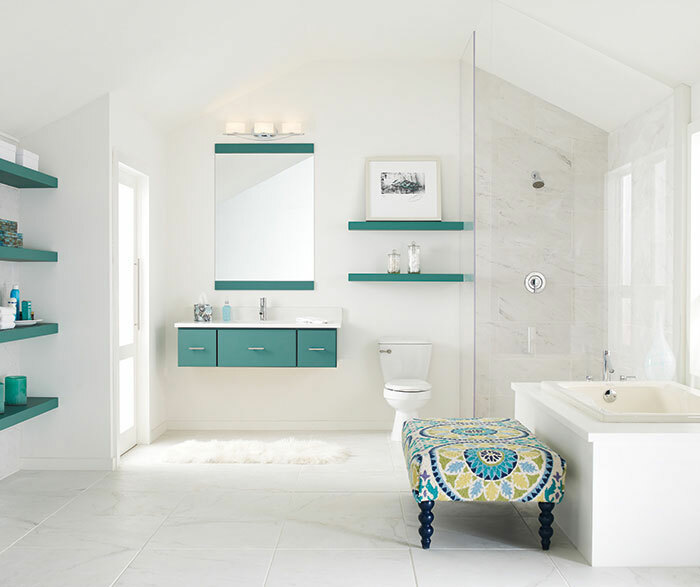 At the Tile Center, we want to make sure the products and materials we bring into your space will be functional and maintainable for the way you live. We pride ourselves on being able to help you create a space expressing your personal design aesthetic, even if you're not sure how to articulate your vision for your dream remodel. After an initial consultation, we are able to put together a design concept and projected budget, so you can make the right decisions. The Tile Center offers a turn-key design service, so you don’t have to manage or worry about a thing. We can help you select and install everything from cabinets, countertops, shower doors, lighting, and flooring to decorative hardware and paint color. Are you thinking about removing a wall or adding a window? We can help with that too. Whether you're already working with an installer or want to work with our remodeling installation team, we can take your remodel from direct replacement to one that makes you say, “Wow”, every time you enter the room. Our qualified remodeling installers are licensed, bonded and insured. Installation costs can seem mysterious when most of it is going towards behind the scenes structural elements. Our staff can help you balance your wish list and budget, so you can get the maximum return on your investment. The Tile Center has been around for 23 years, and our experienced staff of designers/installers are looking forward to meeting you. Share your contact information and one of our designers will call to set up a time to meet with you.